Granada, Nicaragua, March 31, 2007 - The Cathedral in Granada as seen from Calle La Calzada. 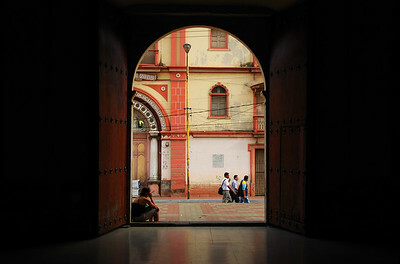 The cathedral is one of the most prominent buildings of the city and was first constructed as a parochial church in 1583. 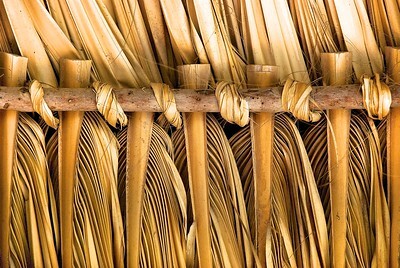 Las Peñitas, Nicaragua, August 2007 - Detail of a thatch roof on the beach. 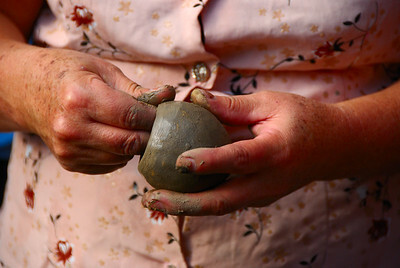 Jinotega, Nicaragua - July 6, 2007 - A woman forms a pottery bowl with her hands in a small village outside of Jinotega. 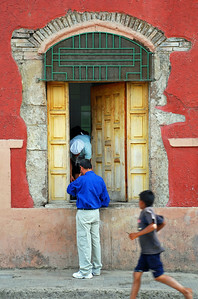 The women in the area are famous for making a certain type of cerámica negra, or black pottery. 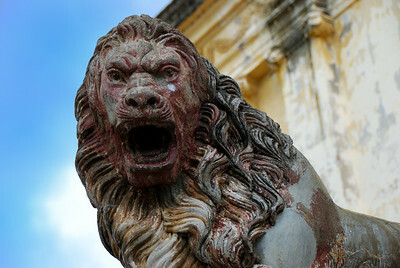 León, Nicaragua, August 2007 - Lion guarding the entrance to the Catedral de León. Jinotega, Nicaragua, July 3, 2007 - Back of a typical Central American bus. These type of buses are commonly referred to by English speaking travelers as "chicken buses". 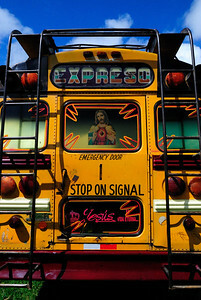 A chicken bus (Spanish: "camioneta") is a colloquial English name for a colorfully modified and decorated US school bus and transit bus that transports goods and people between Central American communities. The word "chicken" refers to the fact that people in rural communities regularly transport live animals on such buses. 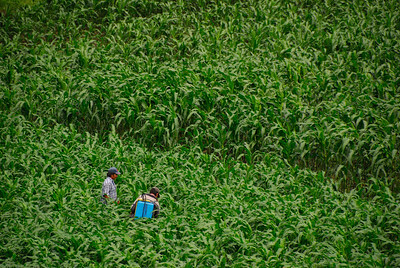 Chagüite Grande, Nicaragua, July 2007 - Two men work in a corn field outside of Jinotega, Nicaragua. 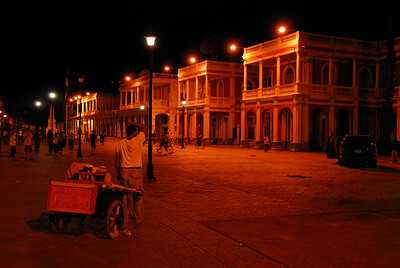 Agriculture represents about 17% of the Gross Domestic Product of Nicaragua, and employees 29% of the population. Corn is widely grown and consumed throughout the country. 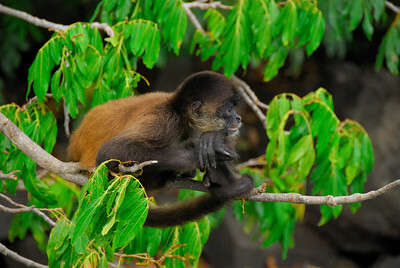 Lake Nicaragua, July 2007 - A Mono Araña (Spider Monkey) on an island in Lake Nicaragua. 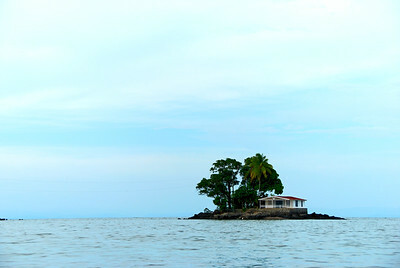 The island is one of the islets of Granada that are located in Lake Nicaragua, just southeast of the city of Granada. The islets are a group of 365 small islands that were formed when the Mombacho Volcano blew most of its cone into the lake over 20,000 years ago. 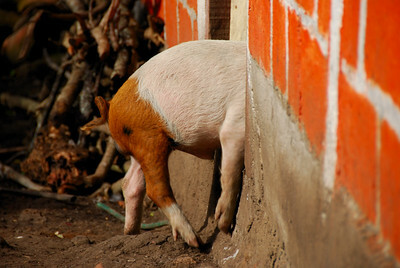 Jinotega, Nicaragua, July 2007 - A pig enters a rural home in a small village outside of Jinotega. 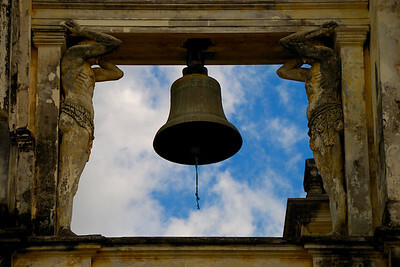 León, Nicaragua, August, 2008 - Two statues hold up a cathedral bell in The Cathedral of León. 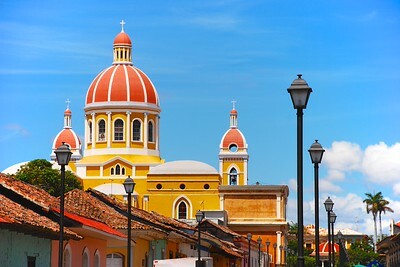 The cathedral is the largest in Central America and is the final resting place of the famous Nicaraguan poet Rubén Darío. 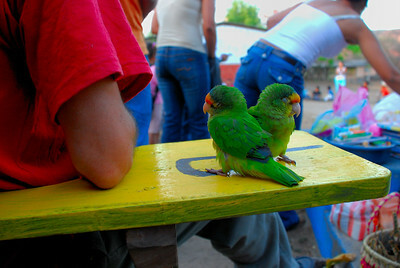 Granada, Nicaragua, July 24, 2007 - A tiny private island in Lake Nicaragua. 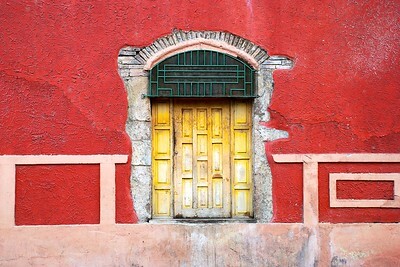 The island is one of the islets of Granada that are located in Lake Nicaragua, just southeast of the city of Granada. The islets are a group of 365 small islands that were formed when the Mombacho Volcano blew most of its cone into the lake over 20,000 years ago. 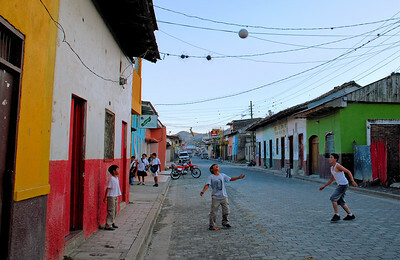 Jinotega, Nicaragua, March 15, 2007 - Boys playing soccer on the streets of Jinotega. 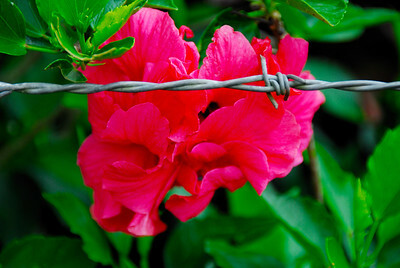 The Department of Jinotega produces 80% of the nation's coffee. 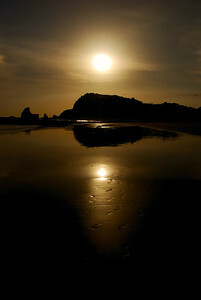 It has a population of about 51,000 as of 2005 living inside a vast valley surrounded by mountains. It is known as "La Ciudad de las Brumas" (City of Mists) for the magnificent whisks of clouds continuously feathering through the top of the valley. 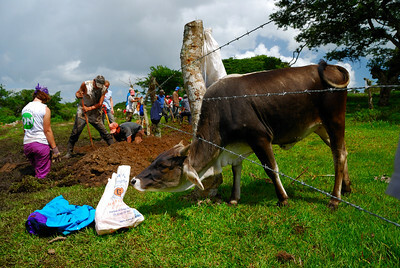 July 2007 - A curious cow pokes his head underneath a barbed wire fence to examine a bag next to workers digging a trench to install a potable water system for Chagüite Grande and Sisle II, two rural communities outside of Jinotega, Nicaragua. 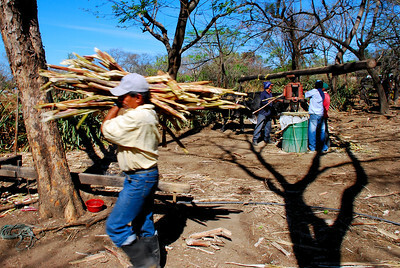 El Lagartillo, Nicaragua, March 19, 2007 - A man carries a bundle of sugarcane past a rural mill used to grind the sugarcane into juice. The juice is then placed in a large tub and boiled over a fire to make honey.